That era was a positive melting pot of creativity and inventiveness," explains Röhn. Jazz was emerging. Silent movies were being replaced by the talkies. And while Walt Disney's Mickey Mouse was taking his first steps in 1928, the dream factories in Berlin and Hollywood were doing a roaring trade thanks to Fritz Lang and Charlie Chaplin. The violin virtuoso is focussing on a topic that has recently been in the public eye, not just as a result of popular TV productions. 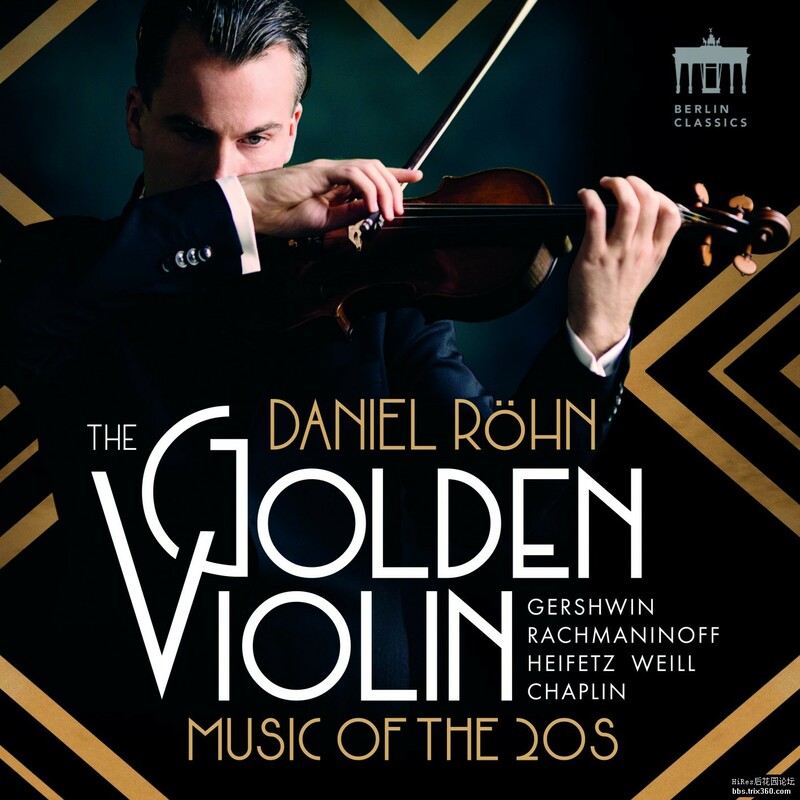 Röhn's personal role model, the patron of violinists Jascha Heifetz, is both the inspiration and the godfather of "The Golden Violin". At his New York debut in 1917 Heifetz provoked wildly enthusiastic cheering that would echo down five decades, especially in the Western world. Absolute perfection, paired with unique creative energy and an inimitable touch. "When I was six year old, I could just about (standing on a box on tip-toe) reach Vol. 1 of my father's Heifetz collection. 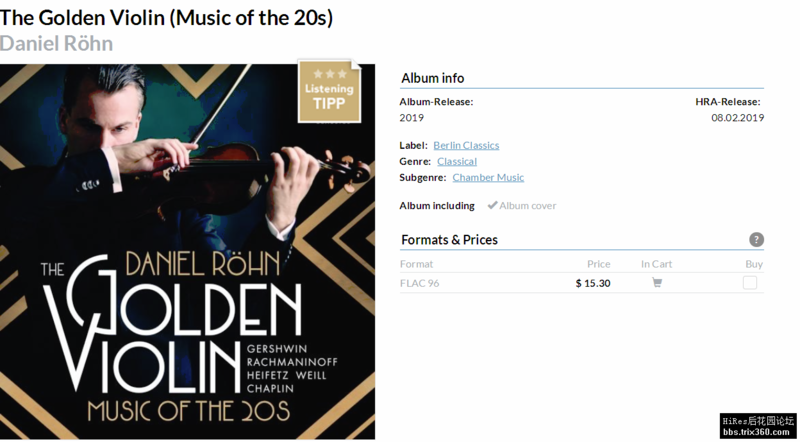 And that volume contained the complete acoustic recordings of 1917-1924, full of straight-to-the-heart arrangements and popular melodies." It is precisely those melodious evergreens that he has now recorded with the Württemberg Chamber Orchestra under its American principal conductor Case Scaglione.